We usually recommend your child’s first dental visit to be at one year old. The first visit usually involves very little treatment. We may ask you to sit in the dental chair and hold your child during the examination. You may also be asked to wait in the reception area during part of the visit so that a relationship can be built between your child and your dentist. We will gently examine your child’s teeth and gums. X-rays may be taken (to reveal decay and check on the progress of your child’s permanent teeth under the gums). We may clean your child’s teeth and apply topical fluoride to help protect the teeth against decay. We will make sure your child is receiving adequate fluoride at home. 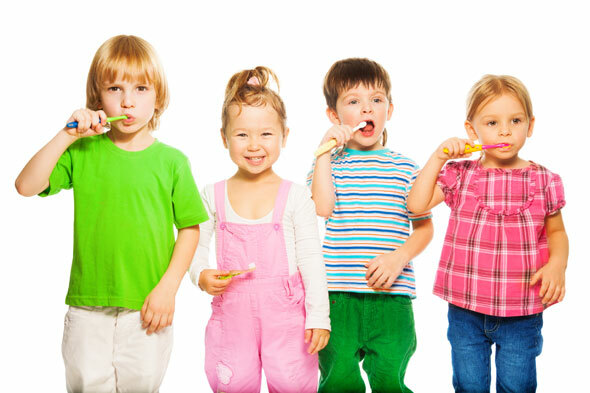 Most important of all we will review with you how to clean and care for your child’s teeth.